Katlyn Alix, an off-duty St. Louis, Missouri police officer remembered for her enthusiasm and service, was shot and killed inside another officer’s home. The details are still unfolding, but authorities say that Alix, 24, died after incurring a gunshot wound to the chest. According to Fox 2, police say that Alix’s death was an accidental shooting. Police released some details about the shooting, but they have withheld other specifics about what happened in the early morning hours. The police statement continued: “Preliminary investigation revealed that Officer #2 and Officer #3, who were on duty, met Officer #1, who was off-duty, at the residence in the 700 block of Dover. While seated in the living room of the apartment, Officer #2 mishandled a firearm and shot Officer #1 in the chest. A police press release further stated, “The Metropolitan Police Department, City of St. Louis, is deeply saddened to announce the death of Police Officer Katlyn Alix. On January 24th, 2019, at approximately 12:56 a.m., officers responded to a call for an ‘Officer in Need of Aid’ in the 700 Block of Dover. “What’s going on is that two on-duty officers went by one of their homes. They were on duty. While they were at that particular home, an off-duty female officer came to that home. While they were there at that home there was, what we understand to be, an accidental discharge. 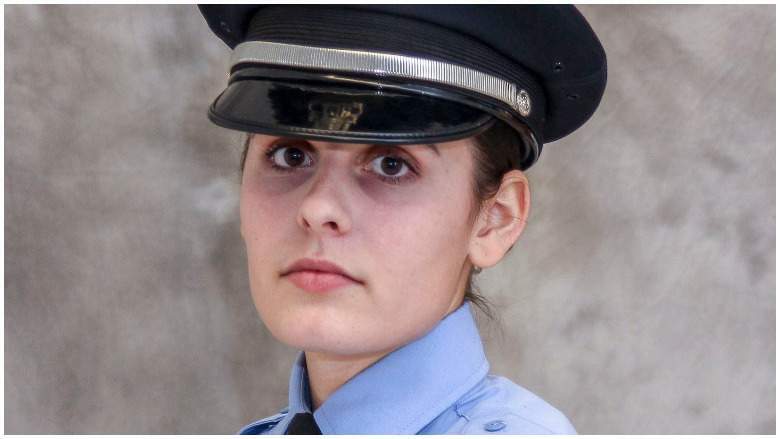 Katlyn Alix was a fairly recent graduate of the police academy dating back to 2017. “Officer Alix entered the St. Louis Police Academy as a Civilian Recruit in Training in June of 2016. In January of 2017, she graduated and was commissioned a St. Louis Police Officer. 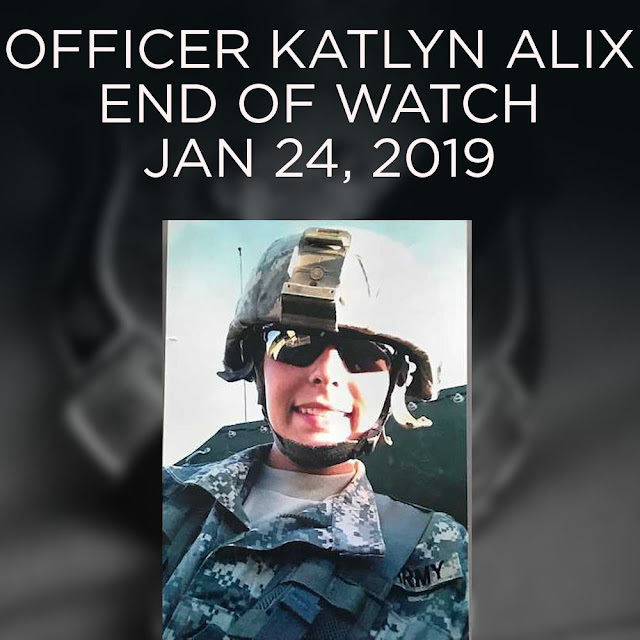 During her career with the department, Officer Alix served in the Sixth District and at the time of her death she was assigned to the Second District as a patrolman,” police said in the news release. A departmental Facebook post read, “Congratulations to Recruit Class 2016-02 on their completion of the St. Louis Police Academy. A graduation ceremony will be held tonight to honor their achievement. Look for the new police officers patrolling in your communities soon!” Her name was at the top of that list. According to the police press release, Alix was married. In addition to her husband, she is survived by her parents and sister. The home where the shooting occurred is located in the Carondelet neighborhood. It’s not clear why the male officers were at the home if they were on duty. It’s also not clear why Katlyn Alix was there. A photo released by Alix’s family also showed her in a military uniform. "She served her community and her nation with dignity and courage both as a police officer and as a member of the military. That is how she lived, as a hero. And, for now, that is all anybody needs to know." According to a Facebook page in her name, Alix once served as a military police officer. American Road Radio is the main road to rock! You will see this text if native audio playback is not supported. #Mystery,#TrueNews : No signs of alien life in the cigar-shaped space object? American Road Radio,the main road to Rock !